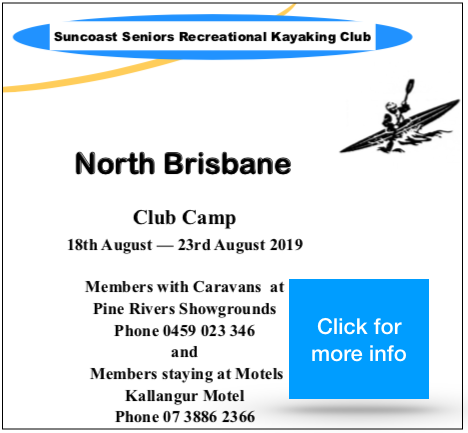 Suncoast Seniors Recreational Kayaking Club Inc.
SSRKC is a Seniors Kayaking Club based on the Sunshine Coast, Australia. 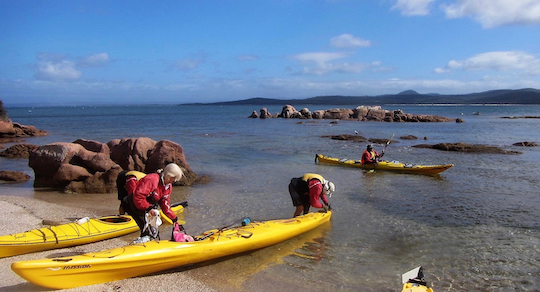 We are a group of over 50’s who share a common interest in kayaking. We operate around the diverse waterways of the Sunshine Coast, Qld, Australia. Our aim is to stay physically fit, enjoy the company of other like minded kayakers and create a safe paddling environment. NORTH BRISBANE CAMP details have been posted. Additions to the RECIPE collection.